Last weekend we popped down to Aggie Days. 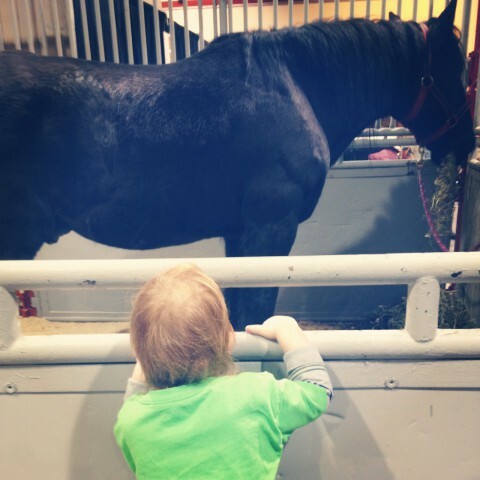 Guess who LOVED watching the horses?! And guess who LOVED petting the goats?! 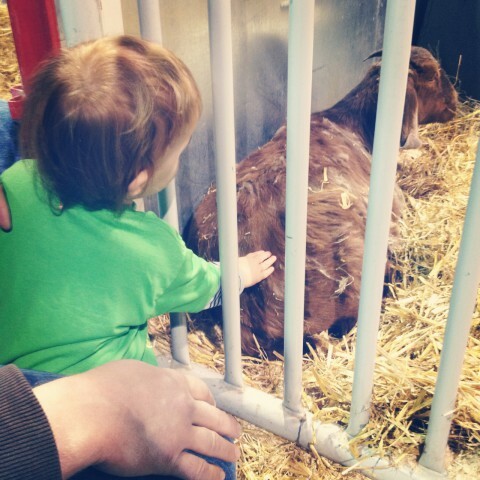 Our own farm days can’t come soon enough for this little man. A little treasure we found in the backyard left from last summer. 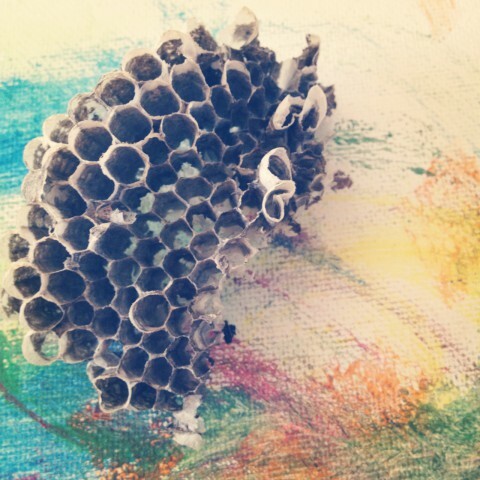 Those darn wasps do make beautiful nests (pictured here on one of Sam’s paintings). 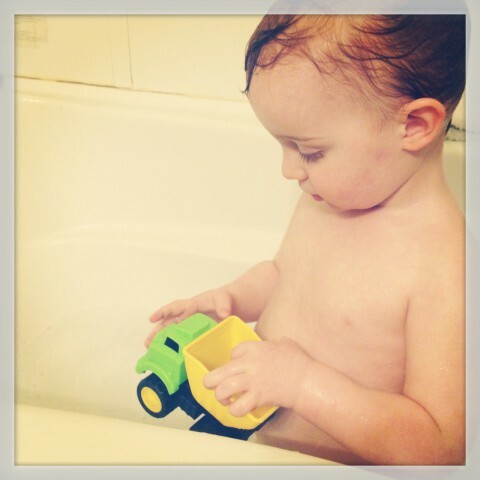 It’s all about dump trucks and dinosaurs with this guy, even in the bathtub. Such a boy! Who doesn’t love licking buttercream icing off of the beaters?! 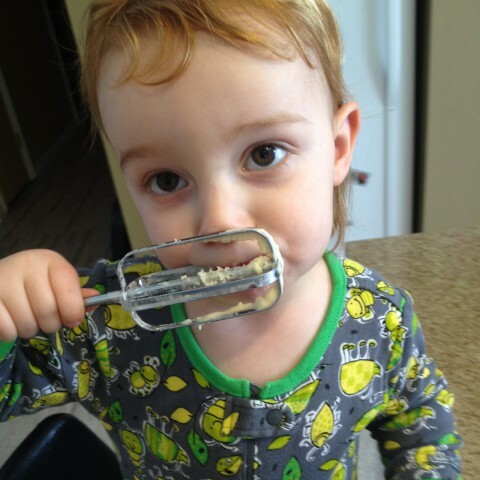 Mama’s helper making Easter cupcakes. 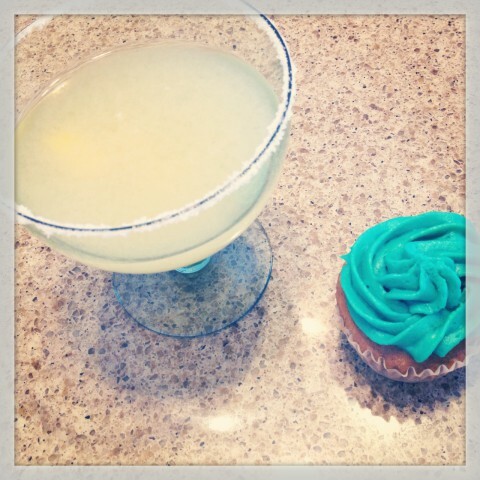 Special treats to end this busy week, margaritas and cupcakes. No complaints here (except for a pesky cold, but hopefully it got chased away by the tequila). 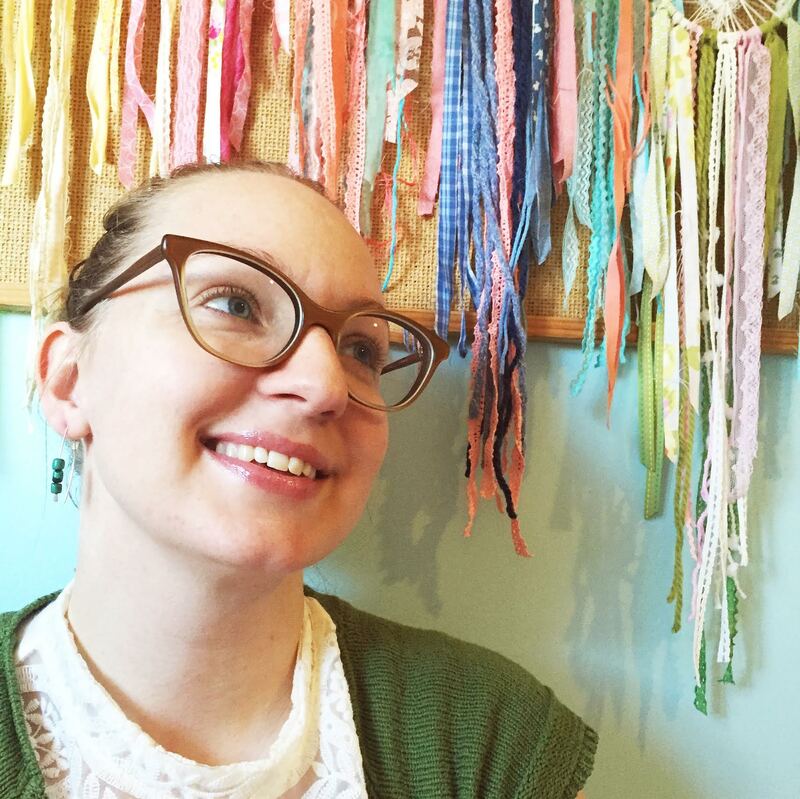 Hope you’re all enjoying a lovely Easter weekend! He IS risen! Let us rejoice!